Stanley McColl was a young soldier in 615 Guards, Armoured Division, when his tank landed on Sword Beach on D Day +2 with the objective – to liberate Caen. The next day we had to get a taxi to Bayeux because the trains were off due to the General Strike. Once in Bayeux we spent the morning at the Memorial Museum of the Battle of Normandy. After lunch we met our guide for our afternoon tour of Sword Beach. We were taken first to Pegasus Bridge where we saw one of the gliders, then we went to the German bunker which had a simulation of the noise experienced during the invasion attack on the beach. 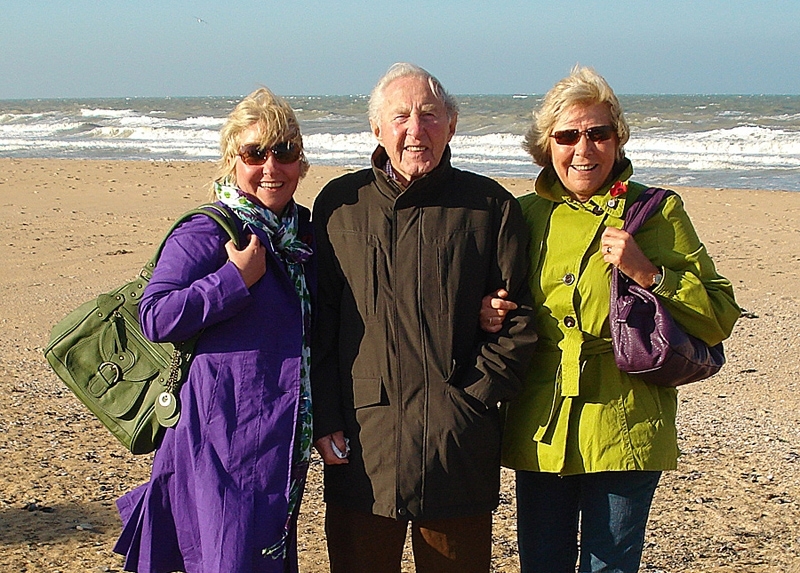 When we arrived at Sword Beach, the guide took us to the part of the beach where my dad had landed and he asked my dad to tell his story – which everyone on the tour found very moving. After the beach we went to visit the British cemetery and we signed the visitors book. The following day should have been a nice trip back to Paris by train, but once again we were caught up in strike action. We were very lucky to get the last three seats on a shuttle bus back to Charles de Gaulle Airport. 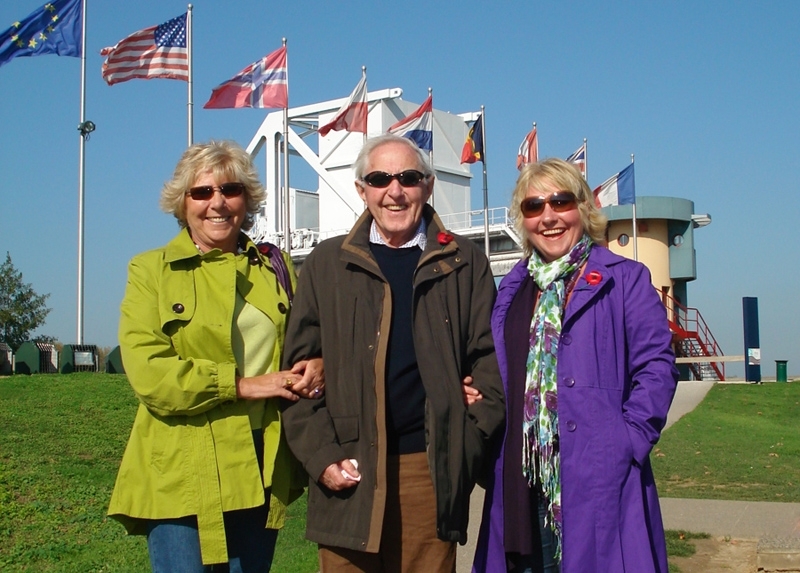 We had a wonderful visit and we would like to thank the Big Lottery Fund, the staff at Normandy Sightseeing Tours and especially our guide Mathias.